As webmaster I (and no doubt other committee members / breeders mentioned within these pages) receive frequen t e-mails from people considering buying their first beagle. Most have done some level of research on the breed but want an “insider’s” viewpoint to what living with a beagle entails. I personally think this is a responsible attitude. You are bringing a new member into your family who could be part of your life for 15 years - it shouldn’t be done lightly. 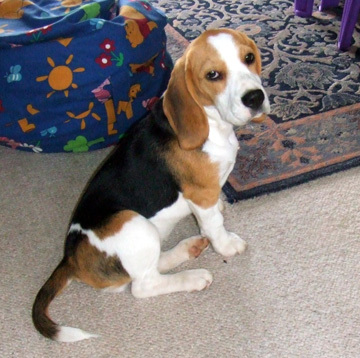 If you decide a beagle puppy is for you then see our Breeders section here.